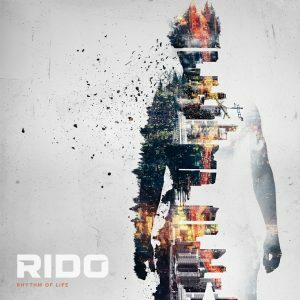 Coming out with his new LP “Rhythm of Life”, Rido has put his stamp into the Drum and Bass community. Coming out of the Czech Republic, Rido’s recent LP release has a total of 11 intense tracks on it. Personally I enjoyed these collections of songs, each of them having magnificent build-ups that leave me excited to hear the drop, which does not disappoint either. The heavy drum beat matched up perfectly with the type of intensity each song was trying to go for. With these intense drops, it reminds me of chase scenes in the movies where the main character is doing parkour, trying to outrun his enemies or vise versa. Which personally I find pretty astounding overall. Songs like “Microwave Radiation” and “Pure Frequency” are true hand-bangers, with the potency to make the dance floors come alive with energy. While for other tracks like “Fade Away” and “Veins”, the emotions are noticeable and are superbly put into use. Whether it be the piano chords of “Fade Away” or the vocals of Thomas Oliver in “Veins”, one can notice the feelings put into songs like this on the LP. Overall Rido did a phenomenal job producing this Drum and Bass LP and I hope the rest of the community will enjoy this too. Right now you can find his LP available to listen to on SoundCloud below. I hope you guys take your time to listen to it! I grew up in south New Jersey and I am currently enrolled in college, going towards a degree in Communications. Three major interests in life growing up? Sports. Video Games. Music. I've played multiple sports while growing up and I love to watch them when ever I get the opportunity. Video games have always been in my life, ranging from multiple consoles and genres. Then there is music. My dad was in a metal band while I was growing up, so rock music and metal were always in his life. EDM, however, came much later. 8th Grade was when I was introduced to the song Scary Monsters and Nice Sprites by Skrillex. Ever since then, I've been hooked.